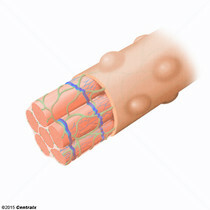 Highly organized bundles of actin (=ACTINS), MYOSINS, and other proteins in the cytoplasm of skeletal and cardiac muscle cells that contract by a sliding filament mechanism. 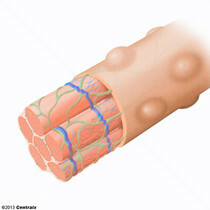 A network of tubules and sacs in the cytoplasm of skeletal muscles that assist with muscle contraction and relaxation by releasing and storing calcium ions. 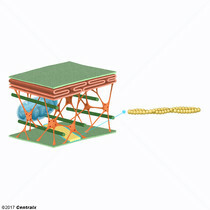 The delicate interlacing threads, formed by aggregations of neurofilaments and neurotubules, coursing through the cytoplasm of the body of a neuron and extending from one dendrite into another or into the axon. 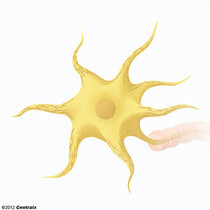 Subcellular structures found in nerve cell bodies and DENDRITES. 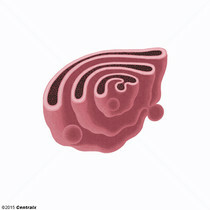 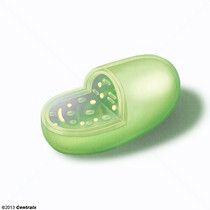 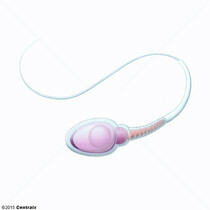 They consist of granular endoplasmic reticulum (ENDOPLASMIC RETICULUM, ROUGH) and RIBOSOMES. 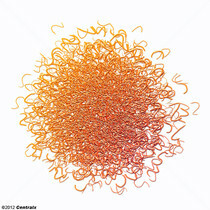 The smallest of the cytoskeletal filaments. 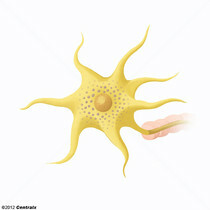 They are composed chiefly of actin. 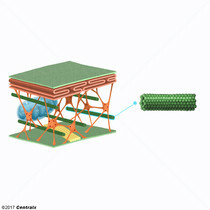 A bundle of MICROTUBULES and MICROTUBULE-ASSOCIATED PROTEINS forming the core of each CILIUM or FLAGELLUM. 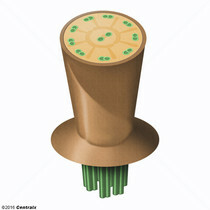 In most eukaryotic cilia or flagella, an axoneme shaft has 20 microtubules arranged in nine doublets and two singlets. 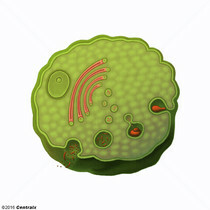 Membrane-bound cytoplasmic vesicles formed by invagination of phagocytized material. 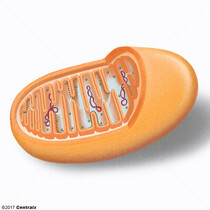 They fuse with lysosomes to form phagolysosomes in which the hydrolytic enzymes of the lysosome digest the phagocytized material. 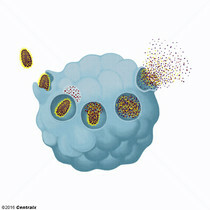 Cytoplasmic vesicles formed when COATED VESICLES shed their CLATHRIN coat. 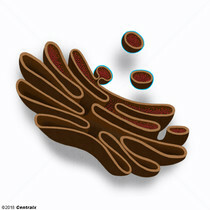 Endosomes internalize macromolecules bound by receptors on the cell surface.